The fastest, most expensive sports cars and supercars must constantly boost performance to stay competitive--and now they're also having to cut their carbon emissions at the same time. Ferrari, possibly the best-known among sought-after supercar brands, plans to cut average carbon emissions across its fleet by 20 percent over the next seven years. And that's on top of a 40-percent cut already achieved since 2007. 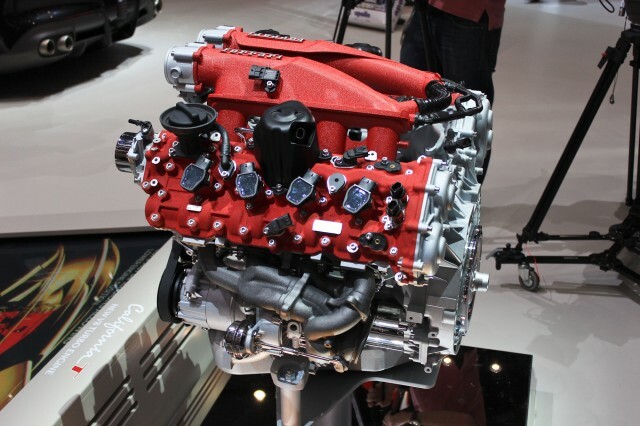 According to an article in Automotive News Europe, the company plans to downsize and turbocharge its V-8 engines, but add hybrid-electric boost to its highest-performance V-12 engines. Turbocharging its V-12s, the company said, would require four separate turbos and present substantial challenges in cooling the engine compartment. It now has two turbocharged models for sale, including the California T retractable hardtop model. 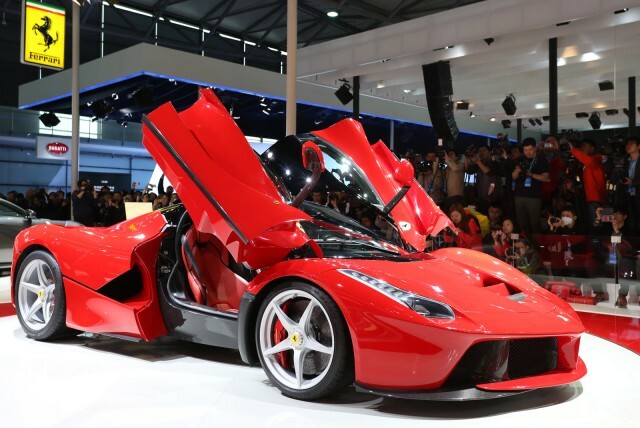 The company had announced plans to experiment with hybrids back in 2009, and its first such model--the oddly-named limited-edition Ferrari LaFerrari--launched last year at the Geneva Motor Show. Ferrari's first hybrid is its fastest production car ever, producing a combined 950 horsepower from its 6.3-liter V-12 engine and the 120-kilowatt (163-hp) electric motor with which it's paired. And its carbon emissions are fully 40 percent below the Enzo model it replaced, which had a mere 660 hp. Ferrari remains adamant, however, that it won't offer fully electric cars. The Italian supercar maker with the prancing-horse logo currently averages 270 g/km of CO2, down from 435 g/km in 2007. Its goal by 2021 is to bring that below 220 g/km. 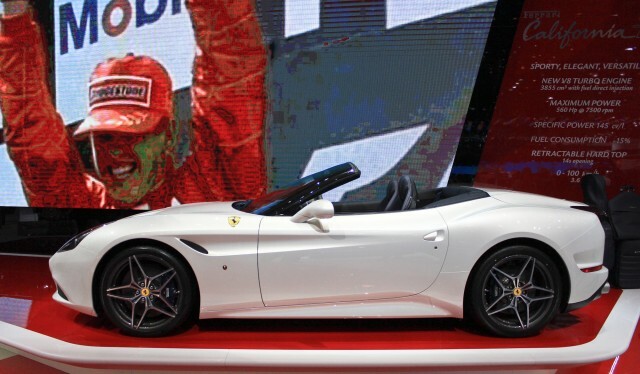 Ferrari builds only about 7,000 cars per year, and while it's owned by Fiat Chrysler Automobiles, its separate headquarters and technology development have enabled it to negotiate separate carbon emissions targets with regulators. The company will likely never cut its carbon emissions to the levels of economy-car makers, it said, but it feels it must achieve percentage reductions equivalent to those in the rest of the industry.